There are two ways that one can disable an Input Mask: from the specific Input Mask itself, or globally by setting the device to not open. An author may determine to disable an Input Mask for a number of reasons. For example, the hardware device is not attached to a computer in a certain lab (and it is located in another) or during debugging purposes the author may want to test various options and have them not included during formal data collection. 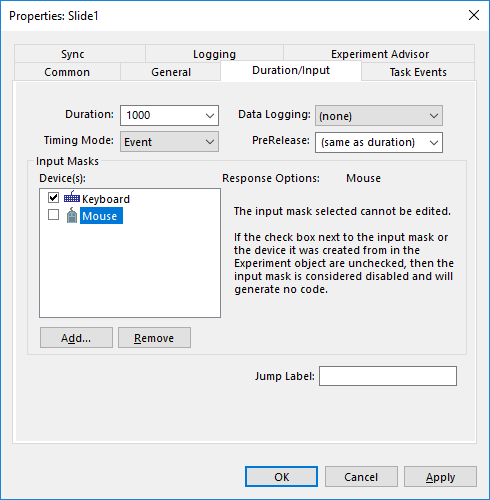 To disable a specific Input Mask, uncheck the item in the Duration/Input property page. When the Input Mask is disabled, it essentially is no longer part of the experiment; no code is generated for it and it cannot be accessed. 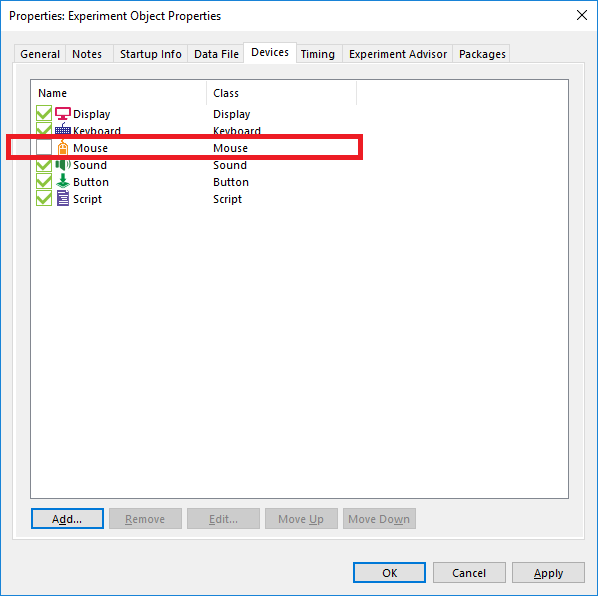 To select all operations from a device to be ignored, uncheck the box next to it in the Experiment Object. Doing so essentially removes the device from the experiment. The Input Mask object items associated with the device remain in each object's Duration/Input property page, but are disabled. 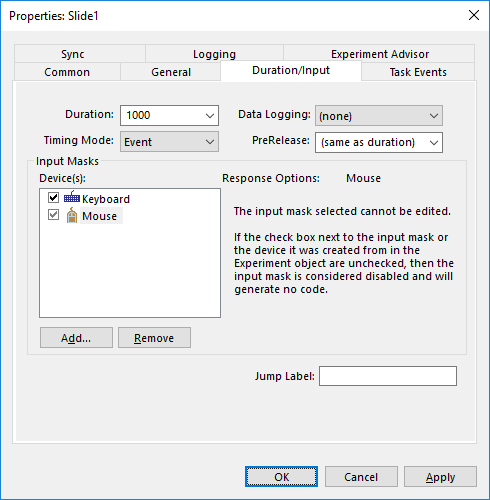 Under normal operation when an Input Mask is enabled AND the device is set to open, the experiment author can select the Input Mask and edit its properties. When an Input Mask is disabled (from the two above methods), it becomes disabled and is essentially not part of the experiment. 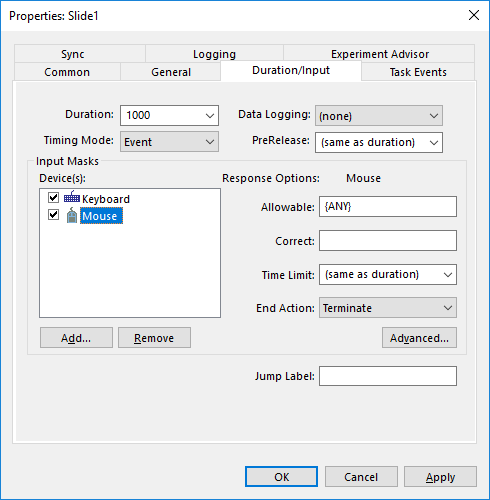 It remains a part of the interface in a disabled state so that if the author chooses to re-enable it the settings initially entered remain intact.